We're so excited! 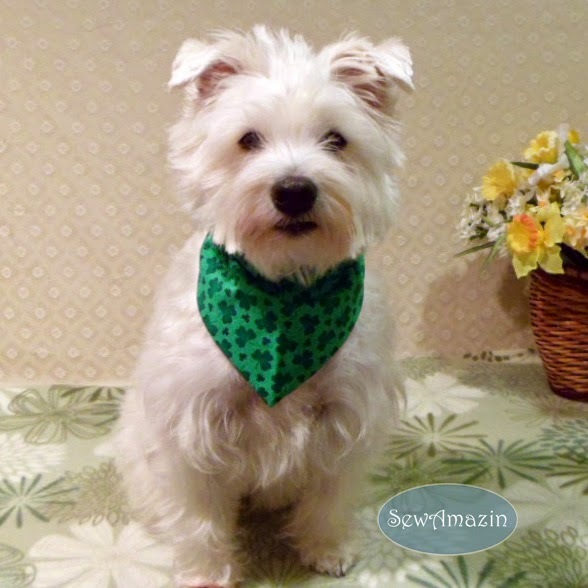 Penny and our Swirling Shamrock Bandana-style Dog Collar Slipcover are one of the 5 items selected for the current round (3/2 through 3/16/2012) of ArtFire.com's "Pin It to Win It" Contest! If you follow me on Facebook or Twitter, you've seen my daily entries for Part 1 of the contest earlier this week. 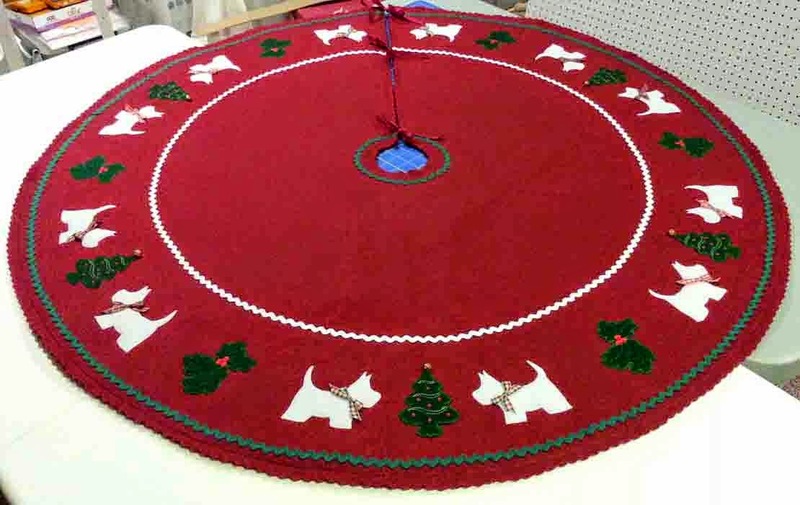 I've been sharing a variety of items from my SewAmazin shop on ArtFire, from bandanas and scrunchie neck ruffles for the pets to insulated bottle carriers and other items for people. The 5 items for Part 2 were selected this morning and we were pleasantly surprised to be included! Part 2 of the contest begins today and continues through Friday, March 16 and if you're on Pinterest, you can enter for a chance to win! 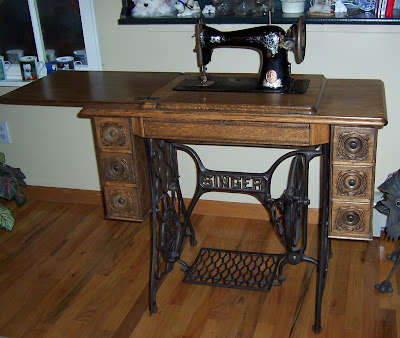 Simply re-pin each item from ArtFire.com's Pin It to Win It! board on Pinterest. You only need to re-pin each item one time only to be entered - multiple re-pins won't increase your chances of winning. The winner will be randomly selected on March 16 and notified via their Pinterest account how to select and claim their prize. In other news, I've decided to extend Keli's 10th Birthday Paw-ty celebration through the end of March - for every purchase from our SewAmazin ArtFire and Etsy shops this month, we'll donate an extra 5% of the item's listing price to either WestieMed.org or RBARI.org!